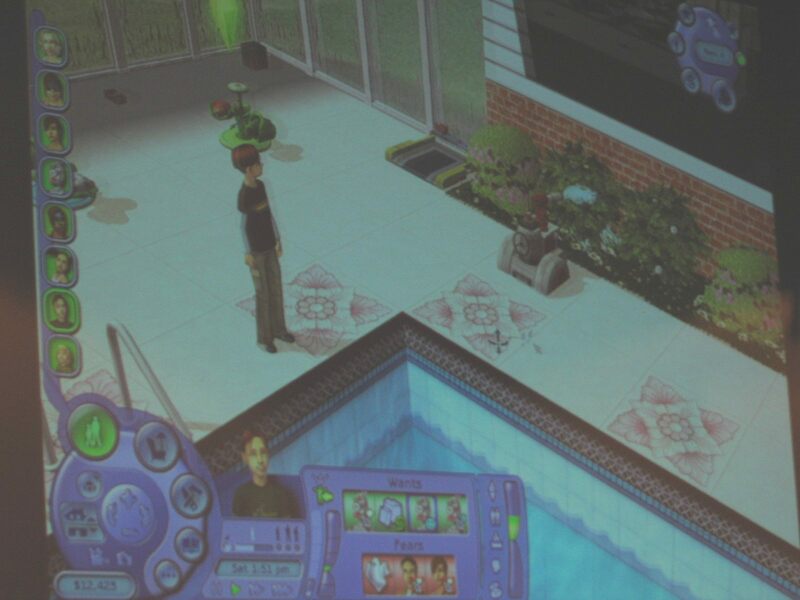 The graphics with this article are pictures taken of the game, but no screen-grabs. 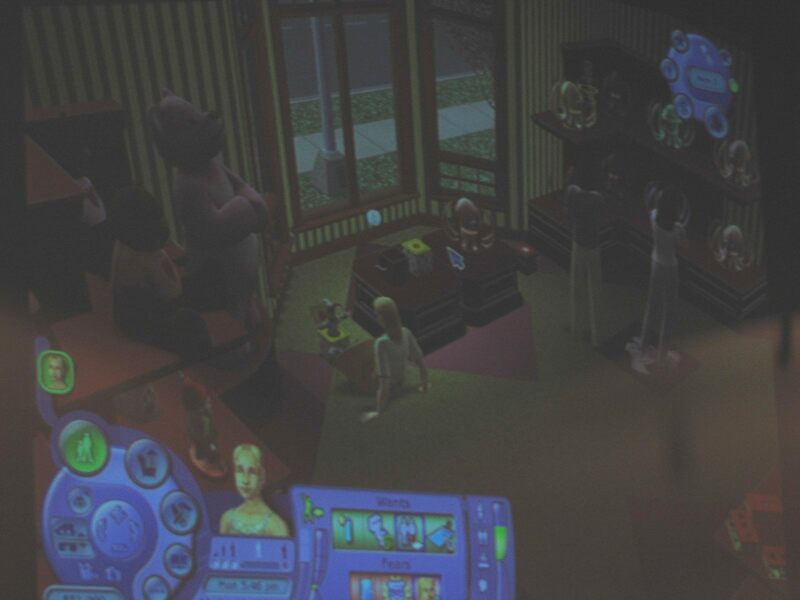 They are photographs of a projected screen, or several laptops. That means the quality of the graphics isn't what you can expect of the final game on your screen; that'll be quite a lot better. Nevertheless enjoy watching them, just don't judge the expansion by the graphics from this article. Besides that, also notice that the version that was presented wasn't complete yet, so features, graphics, and other things can still change or be completed between now and the final version of the pack. 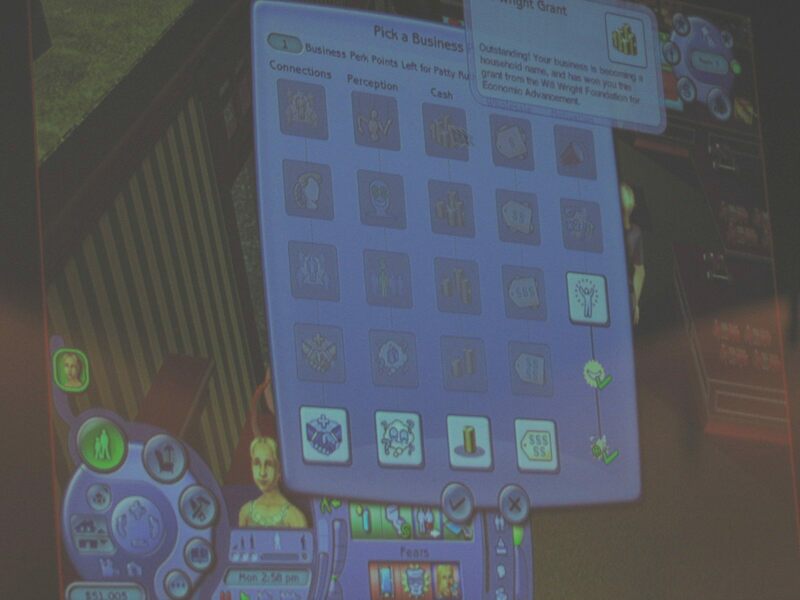 Open for Business is the third expansion pack for the Sims 2, and as the title says it's all about Sims running businesses. Whether that means they'll sell goods, services, or that people just have to pay to spend time on the lot (e.g. for museums), it's all possible with this expansion pack. 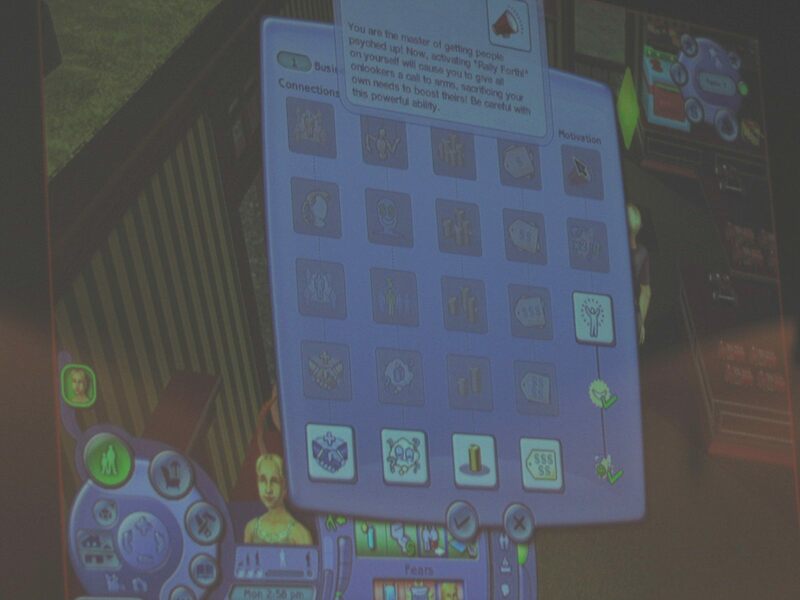 Altogether you can pick almost any business you want, and have your Sims run it. 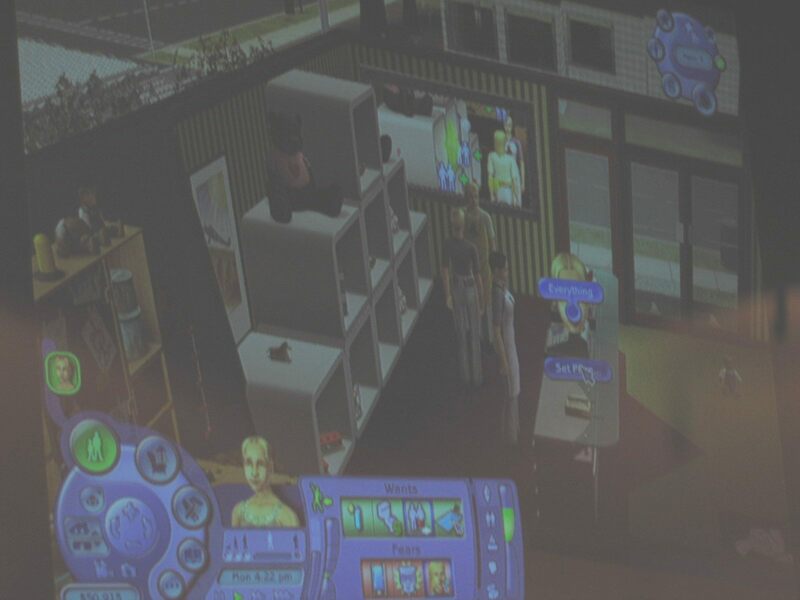 Tim LeTourneau, Senior producer of the expansion pack, was in Brussels, Belgium, to show the game to several fans of the Sims and webmasters of fansites. 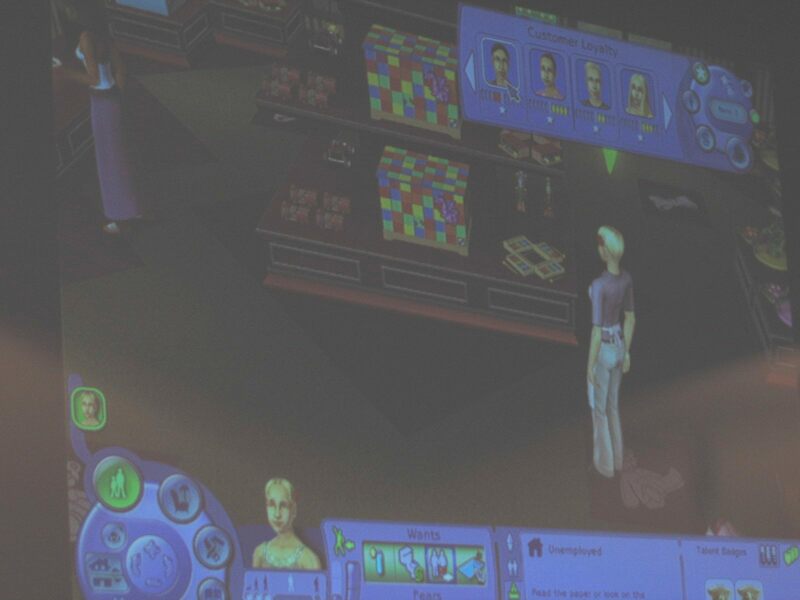 There was also an opportunity to play the upcoming expansion pack, and to ask questions about it. 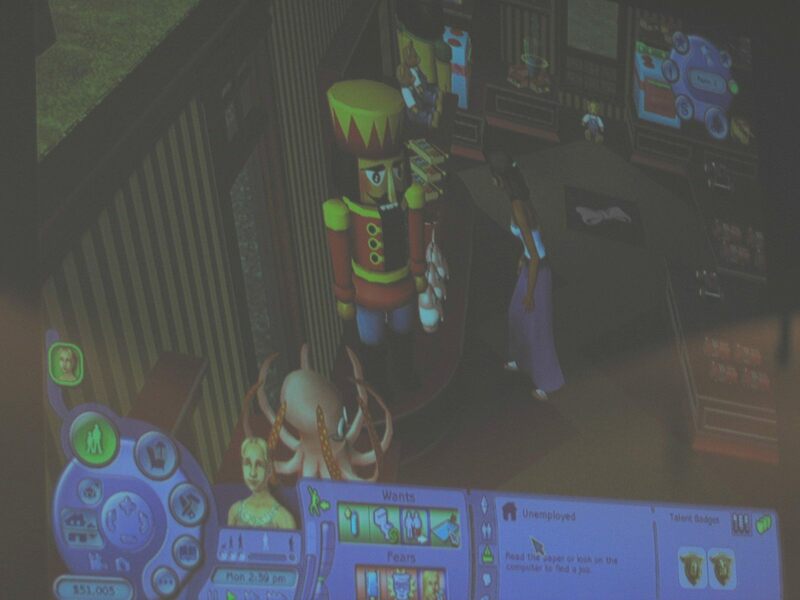 The Sims Zone was there as well, and came back with lots of pictures and information. Setting up a business isn't that hard. Just make your Sim (any Teen or older) purchase a till and use the phone to start it. If you prefer running the business elsewhere, on a community lot, then you can also use the phone to purchase a community lot, and start your business there. 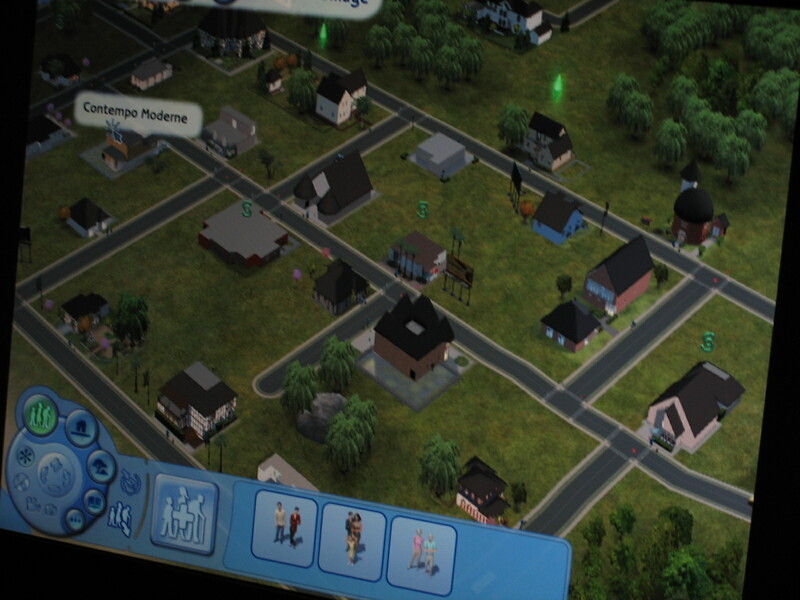 In the neighbourhood overview, businesses that are owned by Sims are marked with a simoleon sign right above it, instead of the usual plumb bob. While running a business on a community lot, the time at home will not continue, so when you return back home the clock will be where it was before you left, just like it's done now when you visit a community lot. When you decided where to start making money, you can start using some of the new tools to build something. In the case of a shop, you can put down many shelves in various shapes and colours, and stack the items you want to sell on those displays. 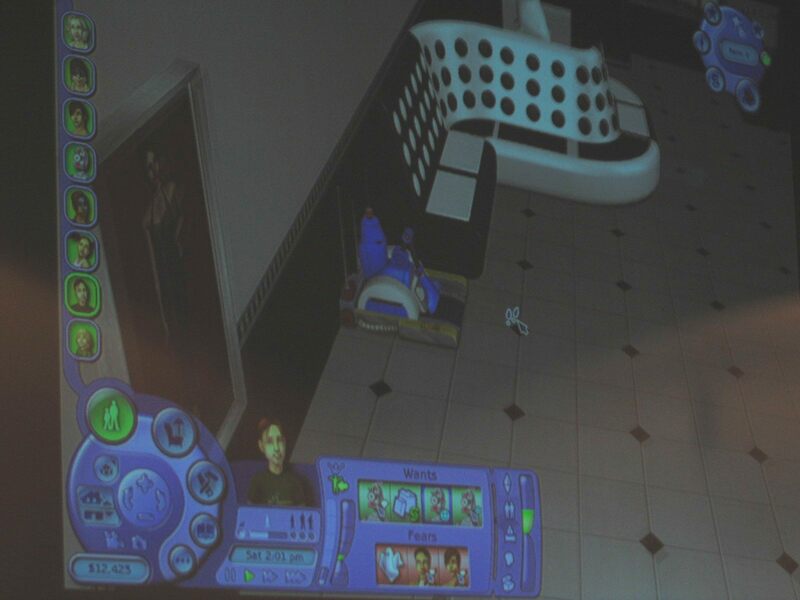 All goods that are in the catalogue can be sold, from furniture to toilets and even cars, if Nightlife is installed. That's also where the special car display comes in. Once you bought the items that are for resale, it's time to actually put them up for sale. 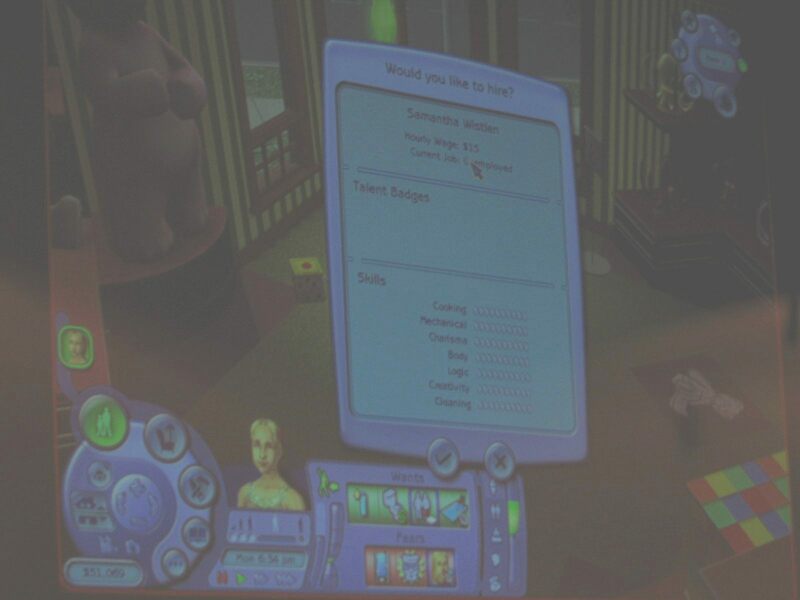 A new interface is added to the right-top of the screen, showing the business progress. This includes the current rank, and buttons to see the customer loyalty, manage employees, see the cash flow, some general business information, perks, and also an interface to control what you sell, and for how much. With a few mouseclicks you can put an item up for sale. Then you can price each item individually. You don't set the precise price in Simoleons, but instead you choose on a scale from ridiculously cheap to ridiculously expensive. Those that you don't tag will be left alone by customers, so you can always leave some display items. When items are sold, you'll be notified so you can restock the shelves. You don't just have to stick with the items in the catalogue, there are also three workbenches to craft new goods. 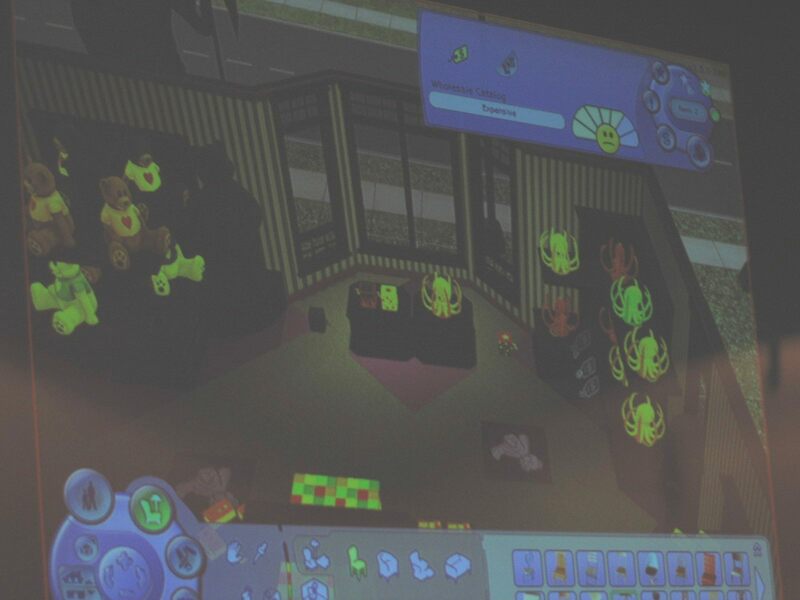 There is a toy-bench, a robot station and a booth to arrange flowers. They work similar to the painting easel, but are a little more complex. You can always create a few items, but not all that can be made with the workbenches might be available to all employees. That's because it requires a little talent and skill to create the more advanced pieces of art. That means low-skilled workers can't make the same items that high-skilled ones are able to craft. Besides that, whatever you create will not always work properly. Things can get broken, or work differently than what you'd expect - that's a matter of how you look at it. As owner of a business, you can still keep another career next running the business. You're not limited to that either. 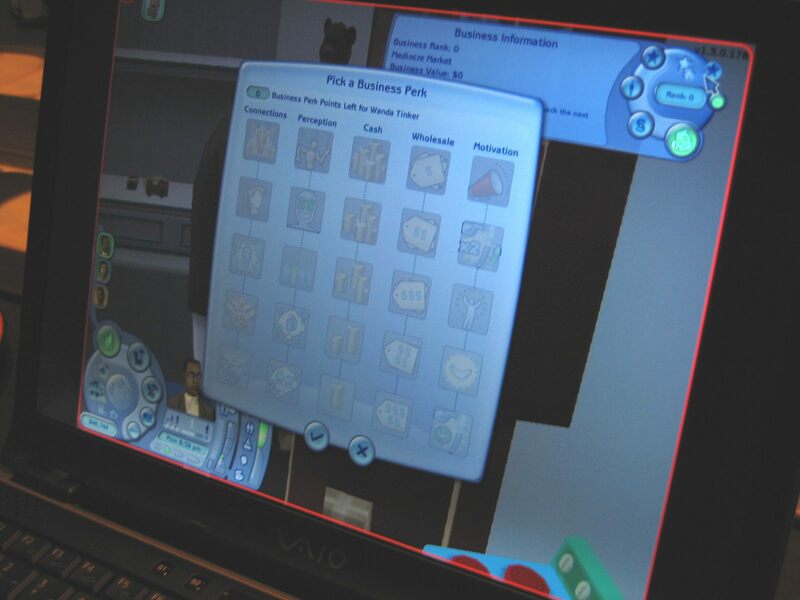 Although you can run only one home-business (since there can be only one business on a lot, and Sims can't live in two houses), it is possible for a Sim to run multiple businesses on community lots. Whether this is a good idea may be a different story, but it is (probably) possible. At home the entire family can work in the business, but outside that employees can also be useful in giving the manager a bit more free time. 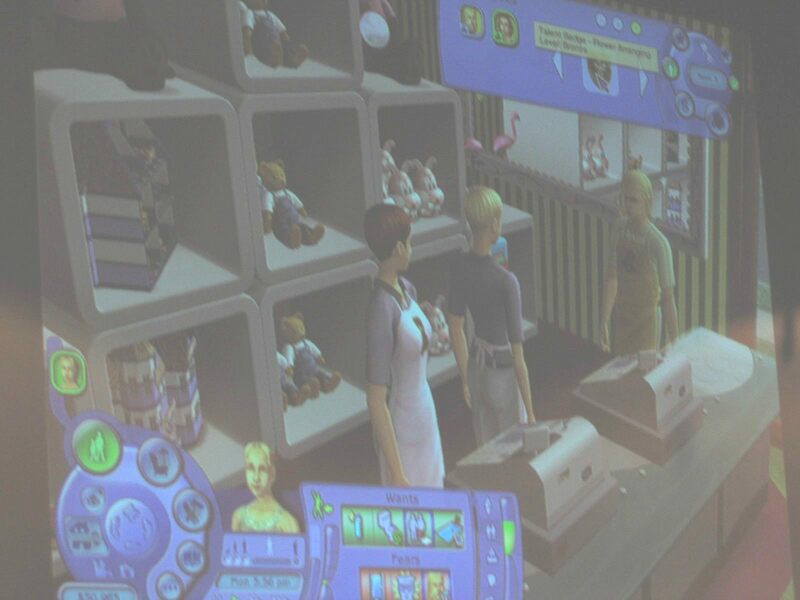 Employees are marked with a globe over their heads, rather than a plumb bob, and are not controllable by the player. Not directly anyway, as you will have to do some management, and not just a little bit. 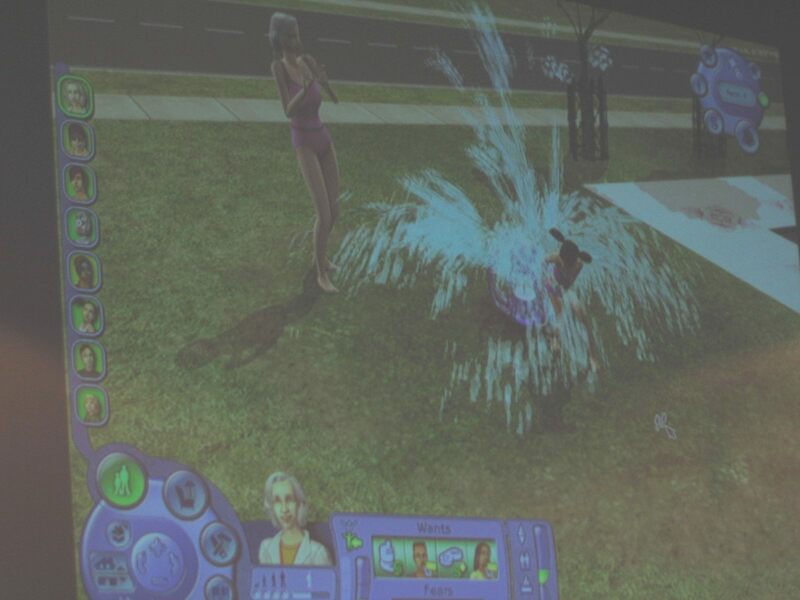 Sims can be slackers, and the same goes for employees - especially the untrained ones. They might be cheap, but won't do a lot of good when it comes to helping you. They can play with items that are not up for sale, usually to green their motives which they'll still need to do, or they might just be extremely bad at selling the goods. But practice makes perfect, and experience (or training) gives the employee better skills. Even if a sale fails, the experience helps the employee in getting some talent badges. There are three badges (bronze, silver and gold) for each of the existing talents. 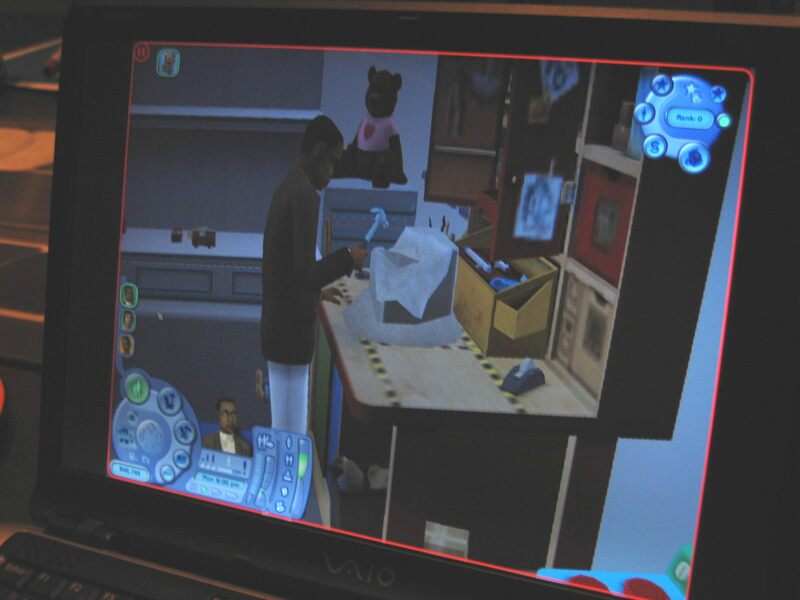 For example, a Sim might be very good at crafting robots or toys if he has the right (golden) badges for that, but because he lacks a selling badge he's no good at that. 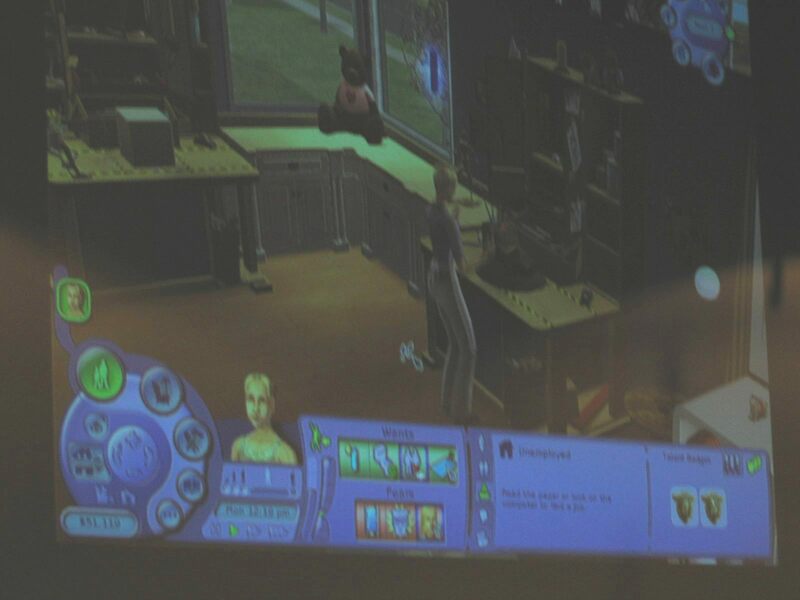 For playable Sims, the talent badges can be viewed in the career panel. There are now two pages in that panel, one for the regular skills, and another for the badges. When it comes to creating items, higher skills means a bigger variety of the objects can be made. 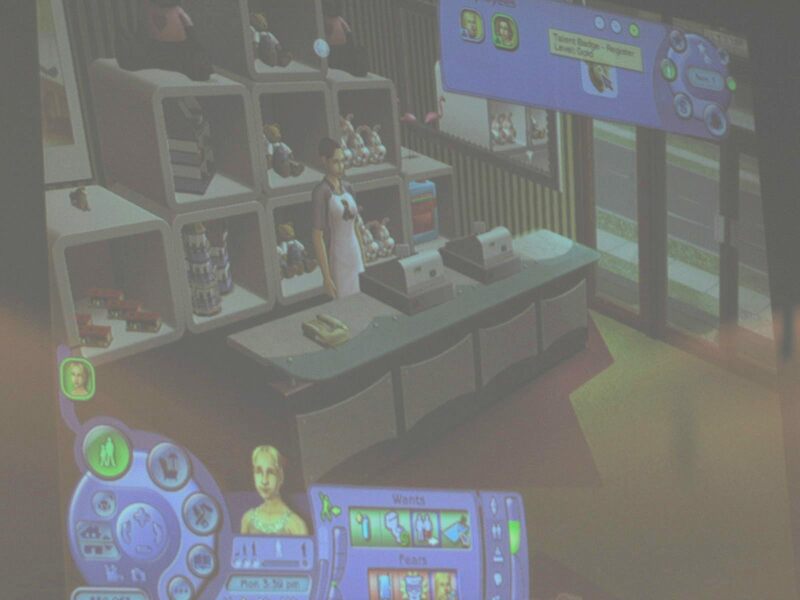 The workbenches allow your Sims to create more than just many of the same item, like there are various robots - each in their own shape too (there are at least a Hydro bot to water plants; a Cleaner bot to clean the house; a Munchie bot, most likely for creating food and a Sentry bot to defend the place against burglars and furious Sims). To make employees work efficiently, you have to assign a task to them. One important task is for them to help customers, which will make them try to sell stuff. If they're slacking off, then a little chat might help them get back to the job, and if things get too bad firing the employee is also an option. 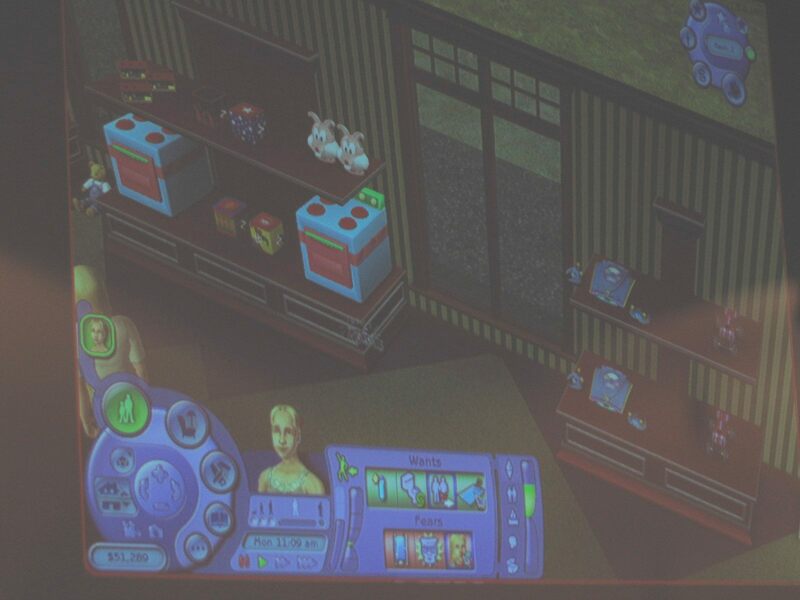 All this can be done by just making your manager interact with the Sim, as if you're trying to socialise. Hiring somebody works in a similar way, by interacting with a customer in your business. You can also call somebody to hire them, using the phone. Employees have to quit their day job to become an employee in a business. Their new salary depends on the skills. An untrained worker, without any talent badges, will be much cheaper than one with high skills. 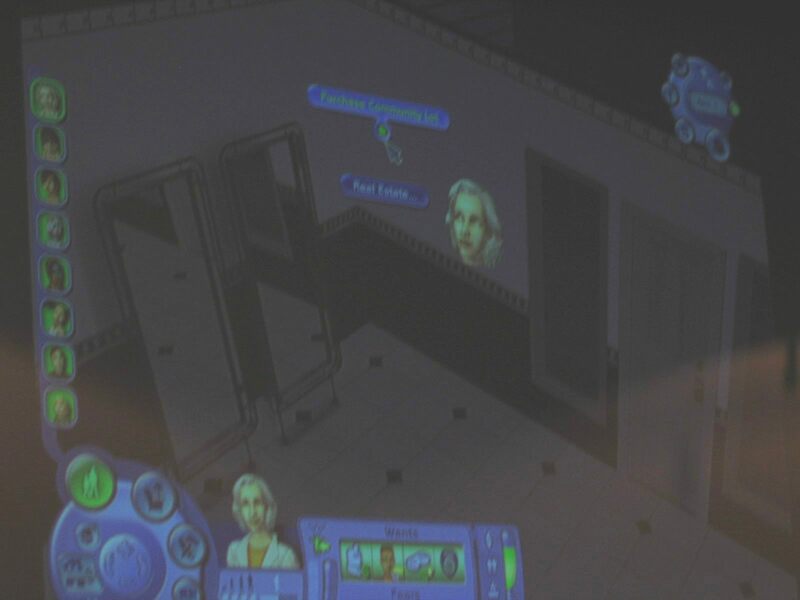 Highly skilled Sims can also work as manager, so they can keep a business open even though the big boss isn't on the lot. Family members of the owner also automatically get the management abilities. Contrary to the employees, a business owner can also have a job in one of the regular careers besides running the place. The key to making money is having customers. Customers like to spend money. How close they are to buying something is shown by a new bar above their heads. As this bar fills up, the customer is more likely to buy something. Because the bar is already filled up a bit (or a bit more) when a customer enters a shop, you can decide who to put some effort in. Have your salesmen go after somebody who's more likely to buy something will ease the chance of them actually buying it. 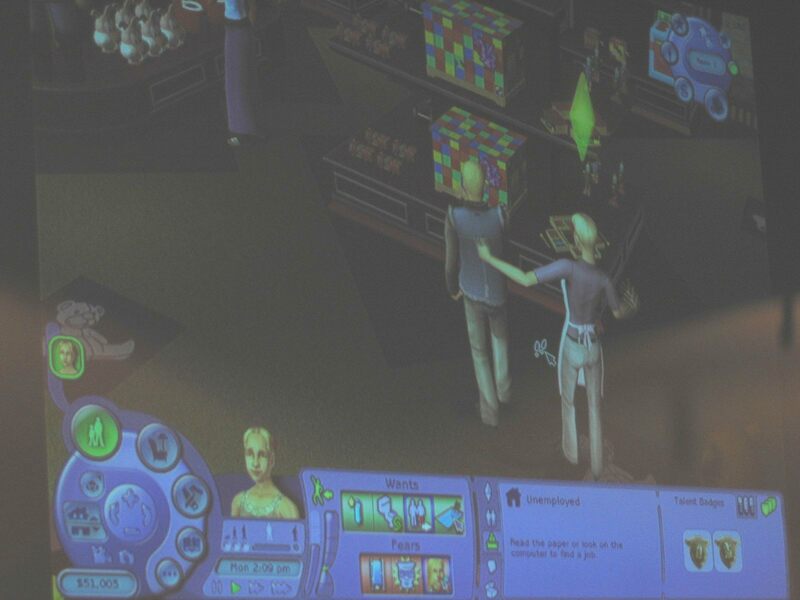 Helping Sims to buy something is done through several interactions, like asking if the customer can be helped, or by just dazzling the Sim about a certain product. Because customers have a shopping motive, selling them something will make them happy. Besides that, their customer loyalty score will increase, rather than decrease which is what happens when you don't help a Sim or fail utterly at trying to do so. Lower prices might also help in making it easier to sell them. 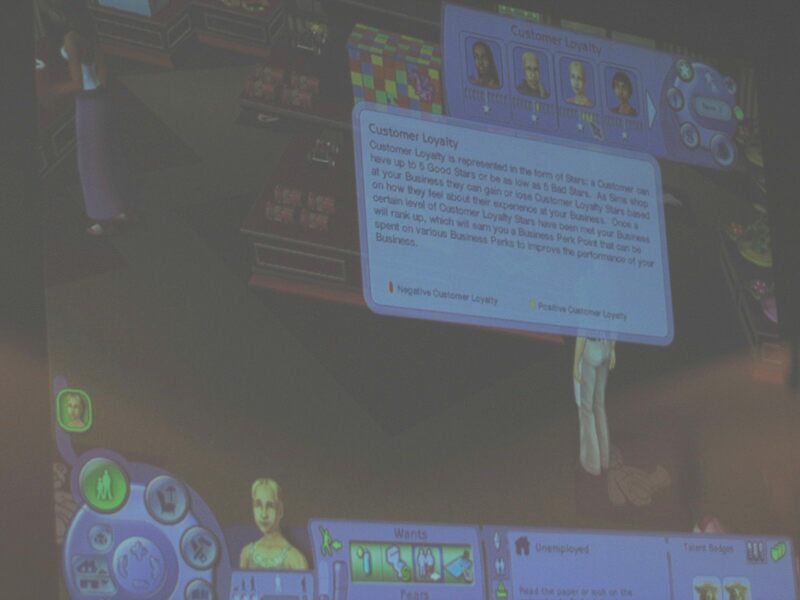 With each sale you make, you receive some customer loyalty from the Sim you sold the goods to. Customer loyalty is what gets you more business, but also a higher business rank. Each Sim has a certain loyalty to the business, ranging from -5 to 5 stars. When you count all ratings together, you get the score that defines your business rank. When you go to a higher rank, you'll be able to get some more business perks. These help you in running the business, like you can earn extra interactions to motivate your workers (including a new "Network" interaction, with which you can meet friends of your Sims' friends), get a grant, or a few other things. Buying these perks is easy - just use the new bit of interface to get the perks screen, then click the ones you want to buy. There are five categories of perks (Connections, Perceptions, Cash, Wholesale and Motivation), each with five perks. You can only buy the perks in a category from the bottom to the top, so you can't randomly pick a perk that you want. There won't be more than five perks available for you to buy at a time. Although the focus seems to be on selling goods, you can also offer services. 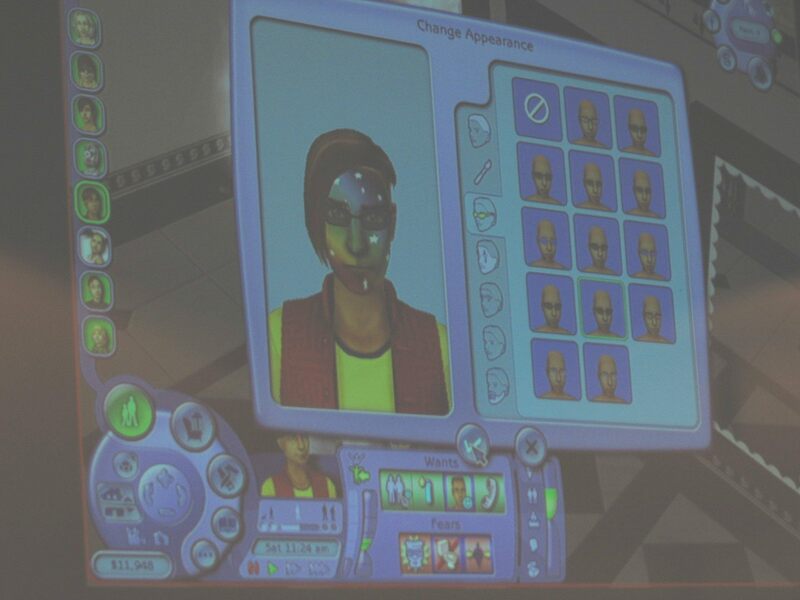 To accommodate this, there's a salon chair that allows you to makeover Sims, including townies. There's new makeup for that, but there are also several new haircuts and more. 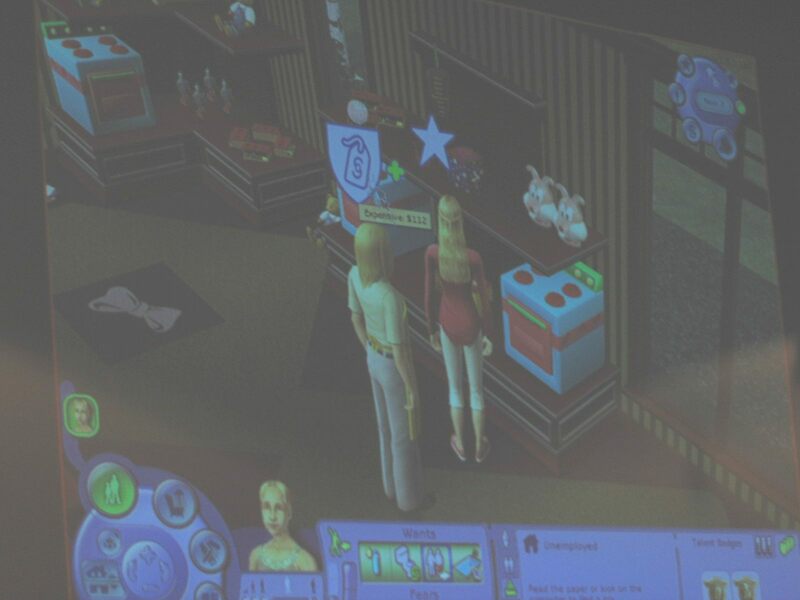 If your stylist is skilled enough, the chance of the Sim liking what you do is bigger, and so the chance of receiving customer loyalty is also bigger. 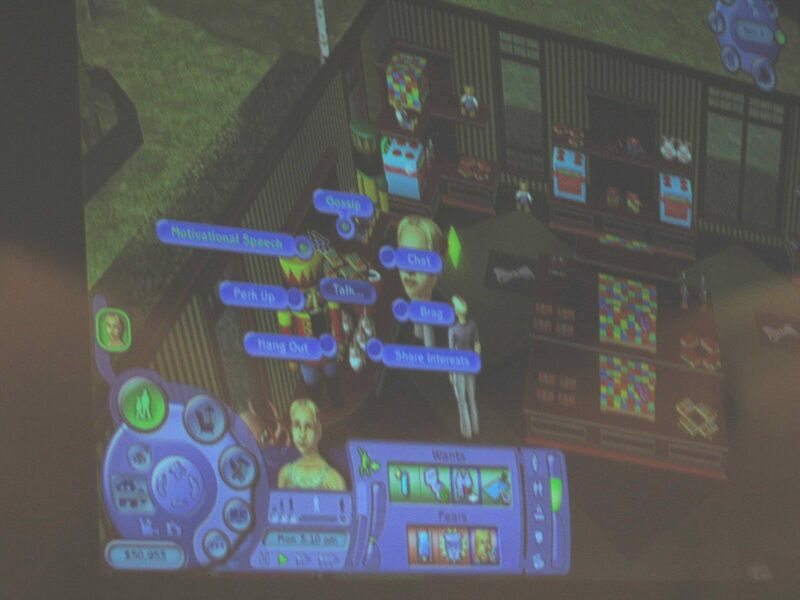 You can also make a restaurant, where you customise the menu yourself. There are some new recipes for this, as well as a "Make many" option on the fridge, with which you can create one item a lot of times. 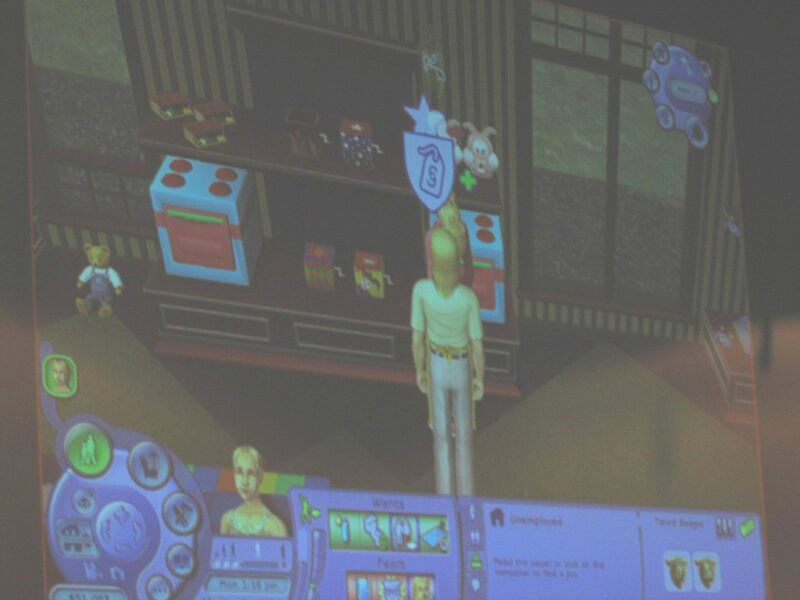 Such batches of food are put in your Sim's inventory. 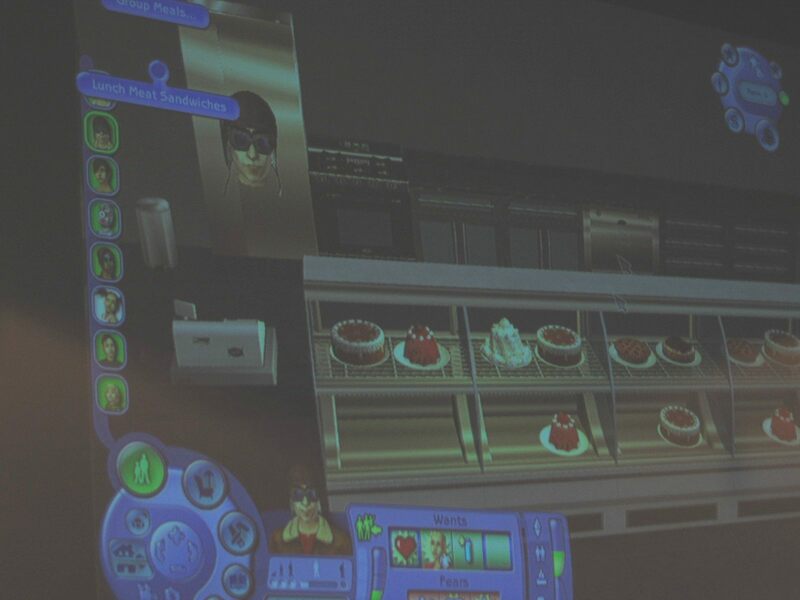 You can then sell these dishes in a pastry shop. 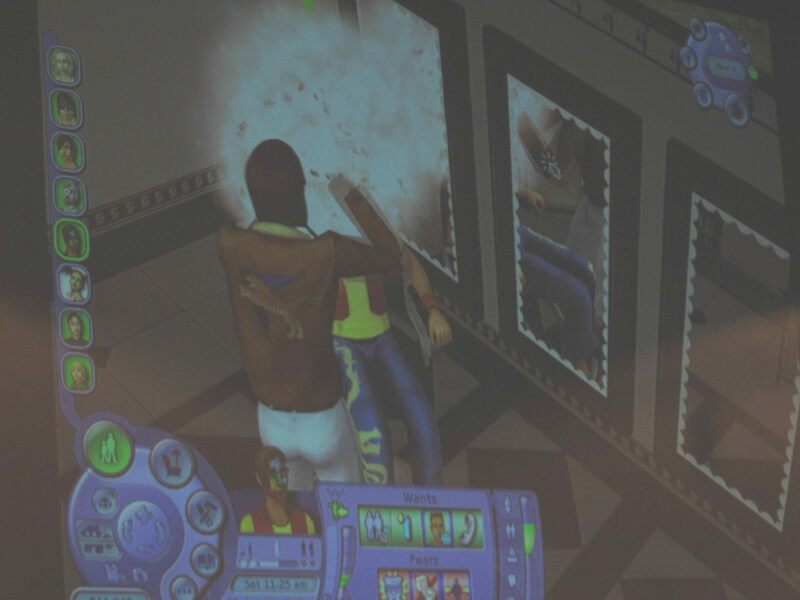 You can also run a Nightclub where Sims have to pay to spend time on the lot. There was a charge-a-tron which probably is for this kind of businesses, though I'm not entirely sure. It's also unclear whether Sims pay a fixed entrance fee, or a certain rate per hour, or if both are possible. Written at 05:49 on Saturday 14 January 2006 by ChEeTaH.